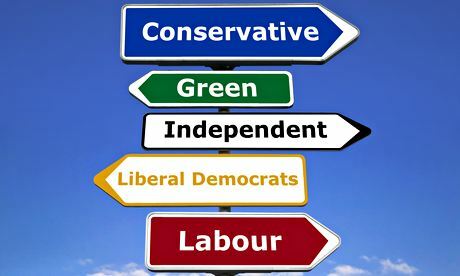 In the UK, 13 parties contested the elections and the Conservative Party won 51% of the seats on 37% on the votes. And the Conservative Party government is considered the legitimate government. In Malaysia, Barisan Nasional won 60% of the seats and 47% of the votes and it is not considered a legitimate government. Raja Petra Kamarudin writes from the UK. All the votes for the 650 seats have already been counted and it looks like the Conservative Party will, again, be forming the government with 331 or 51% of the seats. You need at least 326 seats to form the government so the Conservatives just made it with a margin of five seats — a bit too narrow for comfort and if just six MPs cross over the government will fall or will ‘hang’. What is interesting, though, is that the Conservatives won only 37% of the popular votes. However, because they won 51% of the seats, the Conservatives still gets to form the government even though they won just 37% of the votes. Pakatan Rakyat would probably scream that the UK government is an illegitimate government or kerajaan haram. That is because they are forming the government with just 37% of the popular votes. In 2013, Barisan Nasional, a legally registered entity, won 60% of the seats but with only 47.38% of the votes. PKR won 20.39% of the votes, DAP 15.71% of the votes, and PAS won 14.78% of the votes. Therefore, just like here in the UK, Barisan Nasional, which won 60% of the seats on 47% of the votes, got to form the government. But then Pakatan Rakyat called it unconstitutional, an illegal government, kerajaan haram, and so on. However, Malaysia’s system is exactly the same as the UK system — Westminster Parliamentary System. So I am not sure how Malaysians view things. Do you think this has something to do with the education system that is not enabling Malaysians to think properly? Oh, and we did not have any blackouts while the vote counting was being conducted last night but we did have thousands upon of thousands of Indians, Pakistanis and Bangladeshis voting. But none of the Chinese from Chinatown grabbed these Indians, Pakistanis and Bangladeshis and forced them to sing the National Anthem, ‘God Save the Queen’, like what happened in Malaysia. ← A calculated move to UK that went wrong for maths genius. Did he work alone?